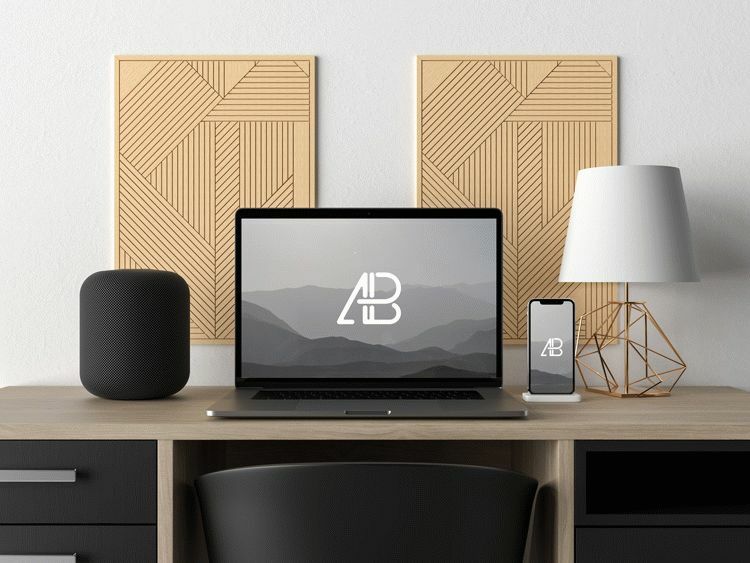 Today’s freebie is a A Modern MacBook Pro and iPhone X on Desk Mockup by Anthony Boyd Graphics. Use this modern mockup to showcase your Mac OS and IOS app or any branding work you might have. This scene was created in Cinema 4D and rendered using Redshift Render. If your a mockup sharing site and you want to feature this mockup you MUST link back to this page as stated on the License Page. This mockup is also free for both personal and commercial use. #anthonyboydgraphics if you post it anywhere on social media so I can see them. Thanks, and enjoy.